The bottom line is this: the food we take into our bodies is a complex array of nutrients, phyto-nutrients, calories (i.e: Energy), and a complex array of things we have yet to discover that nurture our bodies and minds in a very complex and intricate symbiosis… Processed foods, foods from Big Food manufacturers and fast food sellers are largely devoid of nutrients- what they do have is mainly added in after the fact in the form of supplemental (read: chemical!) vitamins. This is akin to what Big Agriculture has become- pumping chemical nitrogen into a depleted soil in order to produce grain crops of corn, (mainly for high fructose corn syrup and feeding cattle), and soybeans, (mainly for oils, which are highly damaging for humans). So- the grain is damaging to us in the form of the HFCS, and is also damaging in the form of cattle feed, since cattle, like us, really cannot be healthy and thriving on grains. They are ruminants, and need grass! Let’s repeat that again: cows are ruminants, and are meant to EAT GRASS! It shows just how out of touch we are in modern America that we don’t even know that anymore! 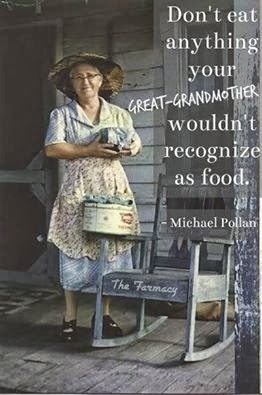 I guarantee our grandparents knew it, and all of our ancestors preceding them. In fact, the only informed people that don’t know about it are the ignorant, and those who want to keep the rest of us ignorant for their own financial gain. 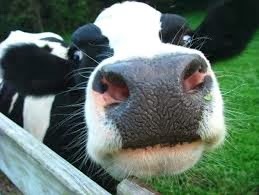 The reason cows are fed corn is because grains make them FAT! More fat in the meat, more weight on the hoof and more money for the seller…. Unfortunately, this grain also makes the cattle sick, and necessitates them being dosed liberally with antibiotics and other rather toxic medicines to keep them alive the few short months they need to suffer to gain sufficient size to slaughter. This gives us meat, but meat that is from sick animals, with a vastly decreased nutritional profile. Grass fed cattle are much, much more healthy for us to consume- this grass fed meat is loaded with all of the nutrients that our bodies need to be healthy and happy, and not corn-fed toxic fat beef marbling, loaded with antibiotics and other medicine residues! “Eat the minimum daily requirements of vitamins and minerals, as determined by the FDA”. This is a prescription that will keep you from scurvy, and some other diseases, but ignores (because they have no idea!) of what you need for HEALTH and WELLNESS. And isn’t that what we want?? So, you DO have to eat real, healthy, whole, God made foods, as close to their natural state as you can get them, to really be healthy and vital! Processed and Fast Foods just won’t cut it- drop them our of your diet! We all actually get…. TOO MUCH REST! What?? But, in addition, we all need good quality sleep! Sleep does far more than just “rest” us- it is crucial for our bodies in terms of immune function, weight regulation, memory, learning, mood, and many other vital needs. Like our Real Foods that we don’t know all of the benefits of yet, Real SLEEP has benefits that are as of yet uncharted, but all the more real irregardless. Well, that is totally, unabashedly STUPID. 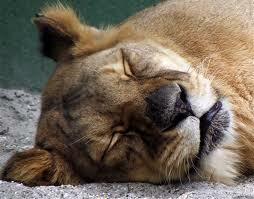 Sleep is utterly vital and necessary and desirable. To shortchange it willfully is foolish, stupid, and ignorant! Get ample sleep each night. Think of it as like working out- it’s a badge of honor! The more sleep you get, the more of a smart, hard worker, partie-er, and whatever-er, you can be, just because the quality sleep produces a higher quality YOU! http://justgetflux.com/ onto your computer! This will automatically start blocking the blue light after dark in your area, gradually preparing you for sleep- very effective indeed! And, don’t watch TV right up until bedtime. Switch it off at least an hour before hand, and read, or converse before bed. And so please- Listen to reason!